Manchester University Press author, Angela Davis, was today one of Jenni Murrays guests on BBC Radio 4’s Woman’s Hour. 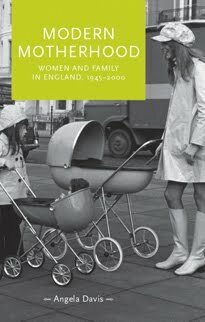 Much of the lively discussion surrounding the anniversary of ‘Fifty Years of Motherhood Manuals’ centred around Angela’s findings taken from her book ‘Modern motherhood’, published last week. Find out more about Modern motherhood. Listen Jenni Murray’s interview with Angela Davis on iPlayer. Category: Anthropology, History, Sociology	0 Comments.